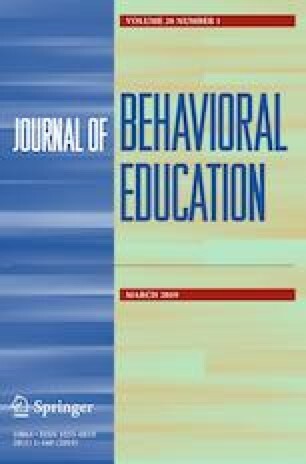 The use of operant chambers for research and teaching in behavior analysis is in decline due to the expense, maintenance, and ethical considerations of such complex mechanical apparati (Venneman and Knowles in Teach Psychol 32(1):66–68, 2005. https://doi.org/10.1207/s15328023top3201_13). Other technologies for testing and demonstrating behavioral principles have emerged in the pursuit of creating free operant paradigms that are accessible and effective for students and economical for institutions. One example is virtual programs that emulate the behavior of organisms such as CyberRat and Sniffy (Graham et al. in Behav Res Methods Instrum Comput 26(2):134–141, 1994. https://doi.org/10.3758/bf03204606; Ray in CyberRat (version 1.0), Brown & Benchmark, Madison, 1996; Behav Philos 39:203–301, 2011). Recently, a new instrument has been developed—the Portable Operant Research and Teaching Lab (PORTL; Rosales-Ruiz and Hunter in Operants 4:34–36, 2016). PORTL is a tabletop apparatus comprised of various objects and tools that enable students to experience and manage free operant situations. In addition to its instructional benefits, PORTL provides a setting for basic research to be completed quickly and ethically with human participants. The purpose of this paper is to outline how to incorporate PORTL into undergraduate behavior analysis courses. Several examples of how PORTL has been incorporated into such courses, including sample exercises, are provided as a model for other course instructors. We would like to extend our most sincere thanks to Dr. Jesus Rosales-Ruiz and Ms. Mary Hunter who originally brought the PORTL technology to our attention for use in the Behavior Principles I and II courses. Without their hard work and resulting technology this manuscript and the current PORTL instructional design sequence would not have been possible. Some readers might be interested in contacting them to obtain access to the forthcoming PORTL manual entitled, “The Portable Operant Research and Teaching Lab: A manual”. They may be contacted at Jesus.Rosales-Ruiz@unt.edu or mehhunter@gmail.com, respectively. Investigating human behavior with non-human subjects. (n.d.). Retrieved May 5, 2018 from http://ehs.siu.edu/about/non-human-subjects.html. PSY 1401 Rat Lab. (n. d.). Retrieved May 5, 2018 from http://dickmalott.com/psy-1401-rat-lab/. U.S. Department Agriculture, Animal Welfare Act. (2015). Chapter 54: Transportation, sale, and handling of certain animals (7. U.S.C Sec. 2131). Retrieved from https://www.gpo.gov/fdsys/pkg/USCODE-2015-title7/html/USCODE-2015-title7-chap54.htm.